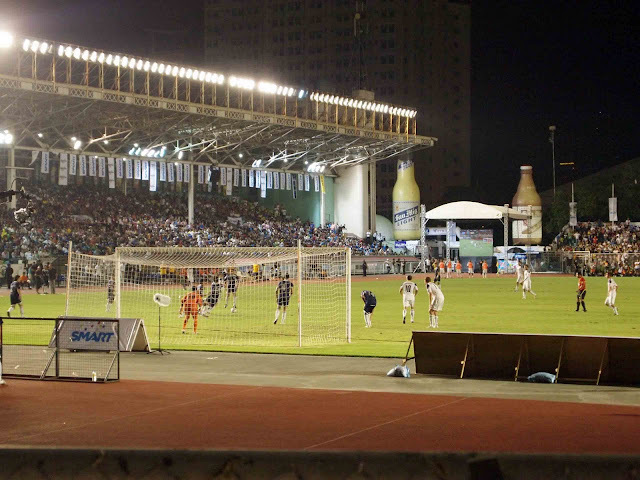 For this week's Throwback Thursday, I am revisiting the friendly between the Philippine national football team - known locally as the Azkals - and the recent MLS champs Los Angeles Galaxy. The match was held on July 3, 2011. The much awaited (and heavily promoted) match-up featured heavyweights from the opponents, including David Beckham, Landon Donovan and Robbie Keane. The match, held at the Rizal Memorial Stadium, started around 7:30pm, which is a good thing because there's no sun and heat to worry about. 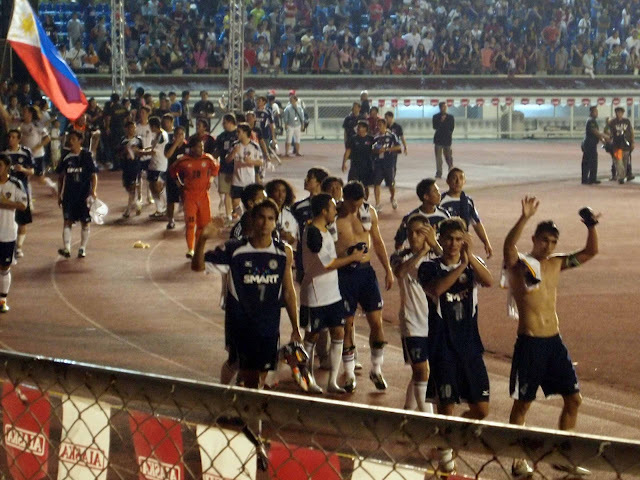 It all went well during the first half, with the local side keeping toe-to-toe with the visitors and forward Phil Younghusband scoring one to the crowd's delight (the only other circumstance that the crowd cheered more is whenever Beckham kicks the ball). The second half though, was a different story. 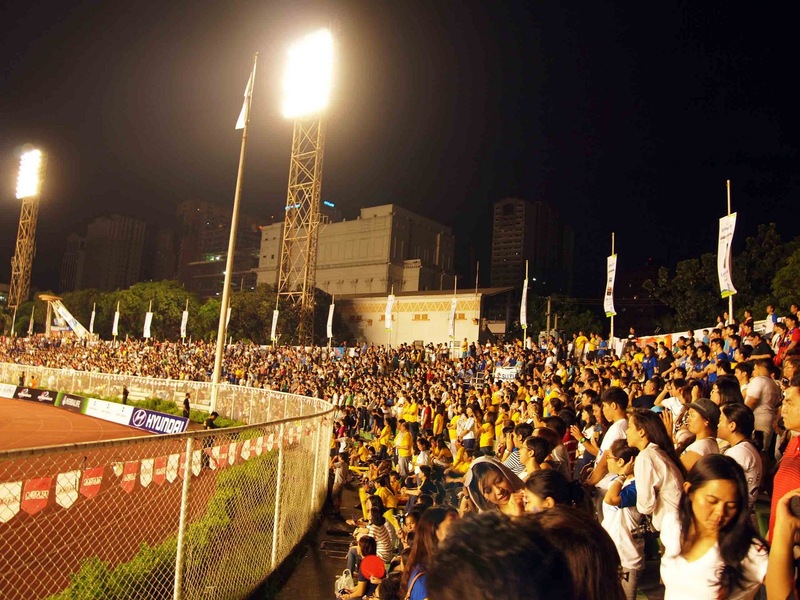 A succession of goals from the visitors wilted the spirit of the Azkals, with the hapless substitute goalkeeper Eduard Scapano allowing 6 goals (Neil Etheridge missed the game due to a club commitment). All in all, the match - although proving to be a handful for the locals - is a good exposure for the national team, and the almost full stadium (despite the high ticket prices) is a sign that football is finally having a renaissance in the country. I can't wait for Real Madrid to visit Manila.